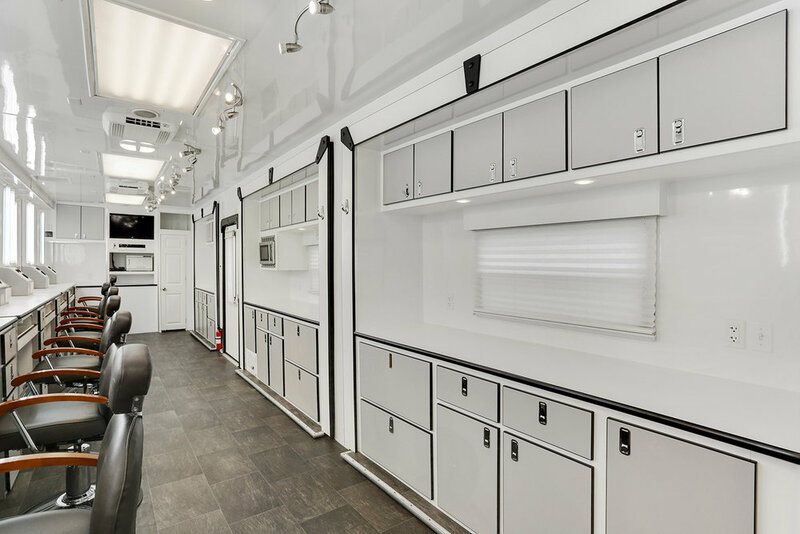 Our 7-Station Hair and Makeup Trailers are a top of the line option for your next production. This trailer has maximum cabinet space available by utilizing three pop-outs filled with cabinets, as pictured below. Therapeutic flooring is standard in all 7-Stations.